« Mt Wilson in the clear? 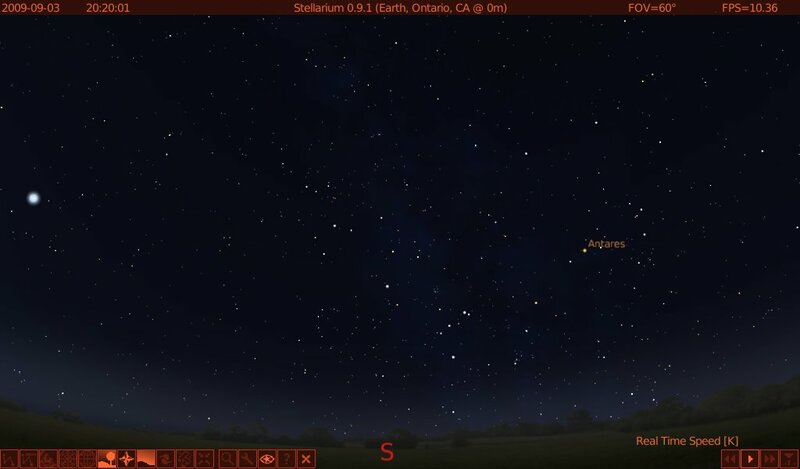 Instructions: Go outside shortly after dark, face south, find Antares, and to the left/east of Scorpio, look for a teapot. Sagittarius is the thick of the summer Milky Way and contains the core of the galaxy. As a result, it is just loaded with deep sky objects (DSOs)–it hosts 15 of the 110 Messier objects, more than any other constellation. It has star clusters in its hair and hanging out of its pockets. Some are open clusters, the result of relatively recent bouts of star formation (“relatively recent” here means “within the last half-billion years or so”), but many are globular clusters or “globs”, spherical micro-galaxies of up to a million stars apiece that orbit the core of the Milky Way in an extended halo. Sagittarius also has a stunning emission nebula, M8 or the Lagoon Nebula, which is second only to the awesome Orion Nebula (M42) for Northern Hemisphere observers. Like the Orion Nebula, the Lagoon is a site of active star formation; it is lit by the young stars it contains, and more are forming even as you read this (the Lagoon Nebula is only 4100 light years away, and it is highly unlikely that the multi-million-year process of star formation has suddenly stopped since the pyramids went up). 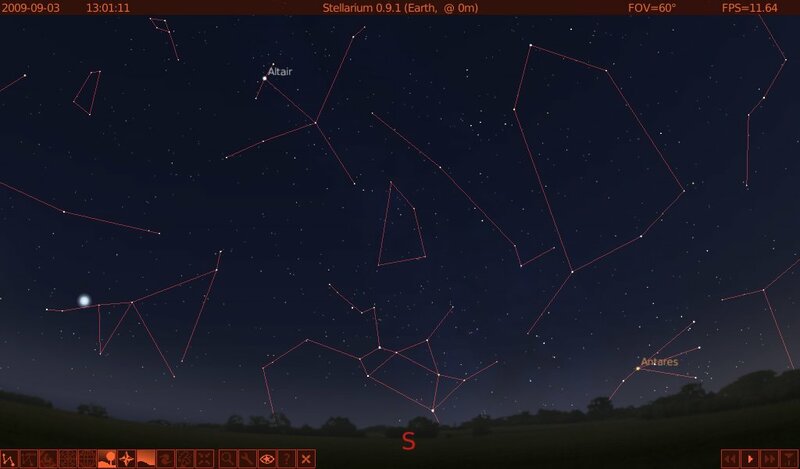 With a clear southern sky and a pair of binoculars–which have hopefully by now been warmed ever so slightly by the brilliant light of Jupiter–you can see three beautiful DSOs that illustrate three stages in the life cycle of stars and of the galaxy itself. M22 is full of very old main sequence stars, and astronomers estimate its age at about 12 billion years, meaning that it has been around for more than 90% of the history of the universe. Its stars are Population II, which means that they formed shortly after the universe itself, when there had been little time for successive waves of novae and supernovae to seed the universe with heavy elements. No one knows if the Population II stars have planets; if they do, they are probably gas giants and any solid bodies are probably icy and metal-poor. If life arose in this or any globular cluster, it is hard to imagine how any of it could have become starfaring or even radio-using with few or no metals. Nobody knew this back in 1974, when Arecibo sent a “Hey, how are ya?” radio message to the globular cluster M13. 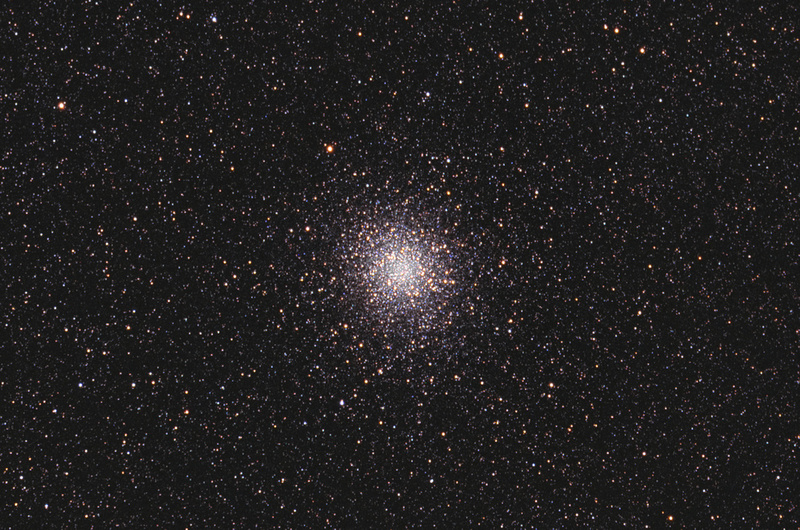 M13 was chosen because it is nearby and has tons of stars; somewhat ironically, those stars are the least likely to have civilizations capable of receiving the message or responding (which may be a good thing, if you take a pessimistic view of the likely intentions of technologically superior species). 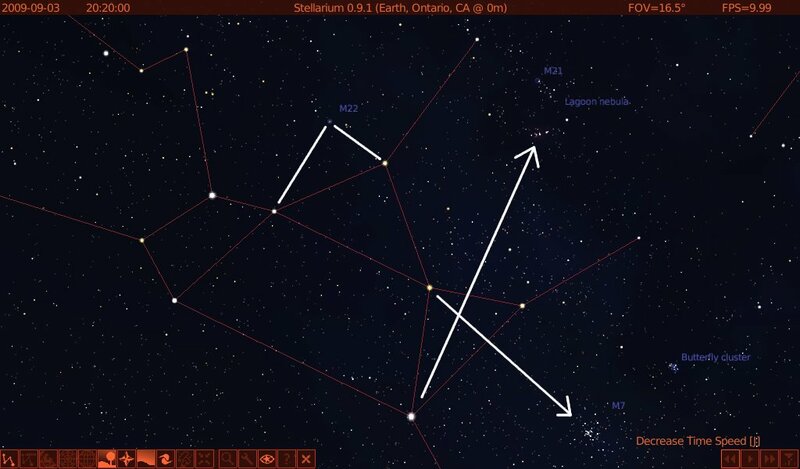 Closer to us in time of origin is the open cluster M7. It seems to me to form the right wing of an extended kite shape that is otherwise made up of the three stars that form the teapot spout. This bright ball of about 80 stars is about a thousand light years away and its oldest members are about 220 million years old–about 2% the age of those in M22. It is sobering to realize that these cosmic youngsters formed about the time that the first mammals and the first dinosaurs were getting up and running in the Late Triassic Period. Youngest of all is M8, the aforementioned Lagoon Nebula, which sits right above the spout of the teapot like a tiny puff of steam. In cosmic terms, we’re catching M8 in the act of giving birth. A few tens of millions of years ago it was just another cloud of cosmic flotsam and probably neither bright nor particular pretty. Now it is lit from within, like a paper lantern, by its stellar offspring. In another 200 million years, M8 may look like M7 does today, with all of its ethereal clouds of gas and dust either consumed or blown away by the brash young stars that are even now forming at its heart. So grab those binos and go see the universe–a stellar nursery (M8), primary school (M7), and retirement community (M22) await. If Jupiter blew your socks off, have a look at M22 and remember that you are looking at stars that are almost three times as old as our solar system. How often do you get to see something 12 billion years old? Not often, I’ll wager! So if you’re farther north than about the 40th parallel, you’re probably hosed. You’ll need a clear southern horizon, sans trees, mountains, and especially the light domes of our myriad cities to get a good look. 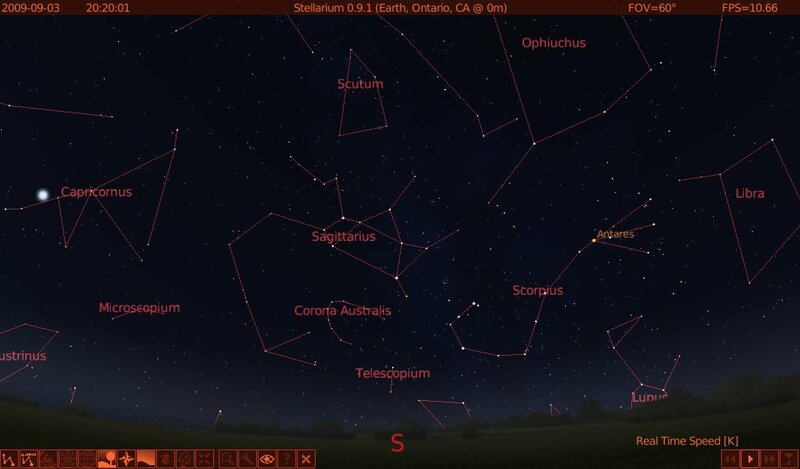 Still, give it a shot–letting the light of 70,000 12-billion-year old stars–photons that have been in transit since the end of the last ice age–fall on your retinas is worth a little effort.